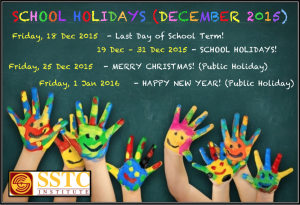 Kindly take note of the upcoming Students’ School Holidays in December 2015. 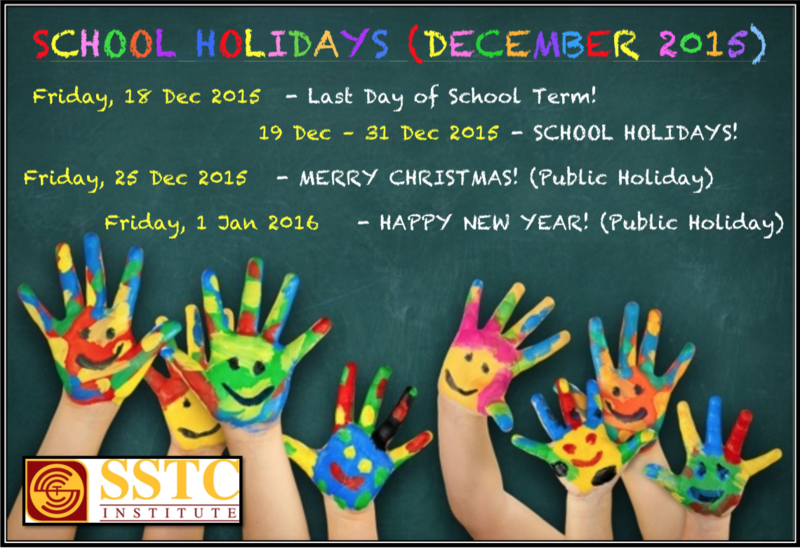 The new term for 2016 commences on Monday, 4 January 2016. From our Family at SSTC to yours, HAPPY HOLIDAYS!